3. Home | Autism Speaks – that links to Autism Speaks’ home page. 4. Promising Research in Autism: But Far From Cure – Technorati Family – a study about possible cause and treatment – in mice. 5. 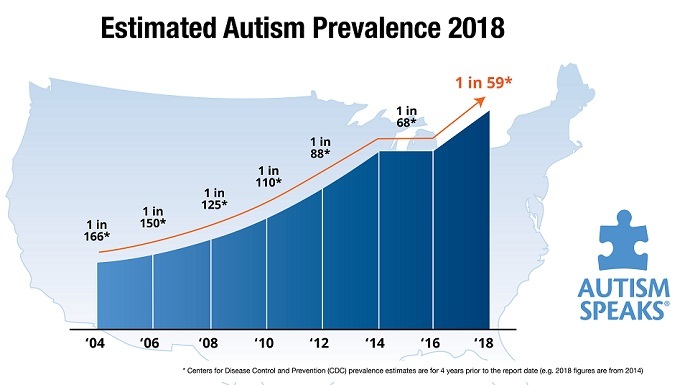 ScienceDaily: Autism News – another report involving laboratory research. 6. Autism cures promised by DNA testers belied by regulators … – about the proliferation of genetic under-information that has led to over-utlization of poorly understood supplements. No wonder parents are so confused! One of Webster’s definitions – the one that I suppose most people mean when they ask about a ‘cure’ – is “A complete or permanent solution or remedy.” So, is a hip replacement a cure? It represents a permanent solution, but will certainly involve limitations. The word depends on the patient’s expectations (at least walking without pain, run with slower times, less distance), time (more abilities as time passes), and reversal of the underlying condition. For cancer, 5-year survival is the principle goal, and that is considered a cure. In addition to the ‘optimal’ outcome, a group of high functioning individuals were described and the groups were compared to neuro-typical subjects. This study helps to set a standard for describing return of function for affected patients. Such precise definitions are an important beginning as we attempt to gain a better understanding of this developmental epidemic. The “cures” seemed to be documented in the lesser-affected children who received early behavioral therapies. Parents aren’t looking for miracles, or even ‘”complete” cures. The most common wish is that their child will grow up to be 1) Healthy, 2) Happy, 3) Productive, and 4) Self-sufficient. The present study, and the discussion about other studies that have demonstrated “outgrowing” the diagnosis provide plenty of hope for gaining skills and ultimately achieving an independent life, especially by early diagnosis and intervention. The bottom line is this: the condition that we call ASD has increased from 1/5000 to 1/88. If we don’t find some answers there is no reason to believe that this epidemic won’t continue to increase in coming generations. Whether patients outgrow it, get improvement from traditional, biomedical, individual, or as-yet-unnamed treatments, the goal of optimal outcome is a realistic target. This entry was posted on Sunday, February 3rd, 2013 at 12:24 pm	and is filed under >ALL<, Alternative and Complementary Medicine for ASD, Autism Therapies, Earliest Red Flags, Reversing autism, Speech and Language. You can follow any responses to this entry through the RSS 2.0 feed. You can leave a response, or trackback from your own site.